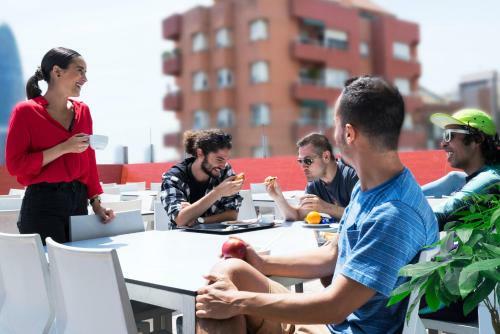 Urbany Hostel Barcelona is on Barcelona’s Meridiana Avenue, 300 metres from Clot Metro Station. This large, funky hostel has a common room with DVD. There are free computers, and free Wi-Fi throughout. Each modern dormitory or room features lockers, an en-suite bathroom and air conditioning. The Urbany Barcelona serves a daily continental buffet breakfast. It has a kitchen with cookers, fridges and microwaves. There is a café-bar and vending machines, and you can request a packed lunch. Staff at the 24-hour reception can provide information about what to see and do in Barcelona. Free city maps and tour information are available. 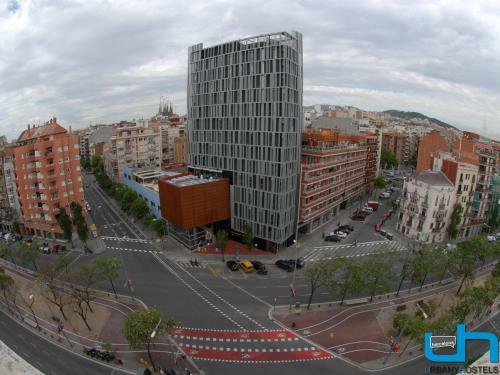 Urbany Hostel is 5 minutes’ walk from Glories Shopping Centre, and Gaudí’s Sagrada Familia is a 15-minute walk away. You can reach the city centre in 15 minutes by Metro or bus, and the beach is 2 km away. Please print the Booking Confirmation email. This should be produced at check-in. Guests who anticipate arriving after 18.00 should contact the hotel in advance. This can be noted in the Comments Box when booking, or by using the contact details provided on the Booking Confirmation. Please note that for bookings of 15 or more guests, the full amount must be paid in advance. 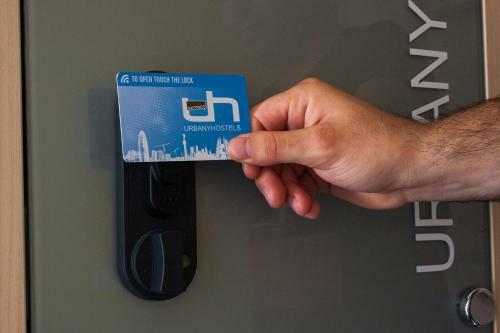 Once the booking is made, Barcelona Urbany Hostel will contact you. This bed in a 6-bed dormitory features individual lockers, power outlets and reading lamps by each bed. It has air conditioning and heating. Please note bed linen is not provided. Rate: € 23.90 ... € 113.89; select dates below to get current rates. This bed in a 4-bed dormitory features individual lockers, power outlets and reading lamps by each bed. It has air conditioning and heating. Please note bed linen is not provided. This room has a private bathroom. Bed linen and towels are not provided. They can be rented from reception. This bed in an 8-bed dormitory features individual lockers, power outlets and reading lamps by each bed. It has air conditioning and heating. Please note bed linen is not provided. Rate: € 19.90 ... € 131.81; select dates below to get current rates. Single bed in female dormitory room with access to shared bathroom facilities. Bed linen and towels are not provided. They can be rented from reception. This private room features a fully equipped private bathroom and safe. It has air conditioning and heating, and bed linen and towels are provided. Single bed in mixed dormitory room with access to shared bathroom facilities. Bed linen and towels are not provided. They can be rented from reception.